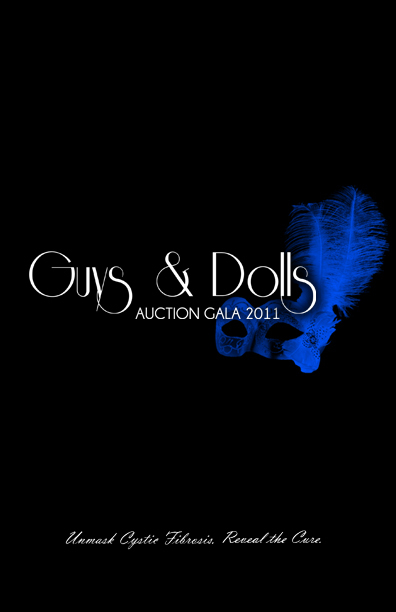 It has been a joy collaborating with the Cystic Fibrosis Foundation for their annual “Guys & Dolls” Auction Gala”. Last year I was lucky enough to be a participant in the 6-month fundraising effort with other young professionals in the Indianapolis area. It was an amazing experience to volunteer with an organization bringing attention to a disease that does not get nearly enough attention needed. The Cystic Fibrosis Foundation has made great strides. This year I felt compelled to stay involved in some capacity, and lending my design skills to the effort seemed like the perfect opportunity. I’m excited for the opportunities I’ve been given and I look forward to this relationship growing over the years.